Zoho Invoice allows you to log and track time spent on tasks. Simply create a project, invite staff, and assign tasks. Send retainer invoices to your clients and collect advance payments for projects . When it's time to bill your client for the project, the retainer payment will be automatically included in the invoice. Log hours from your mobile or desktop, whenever you start work. 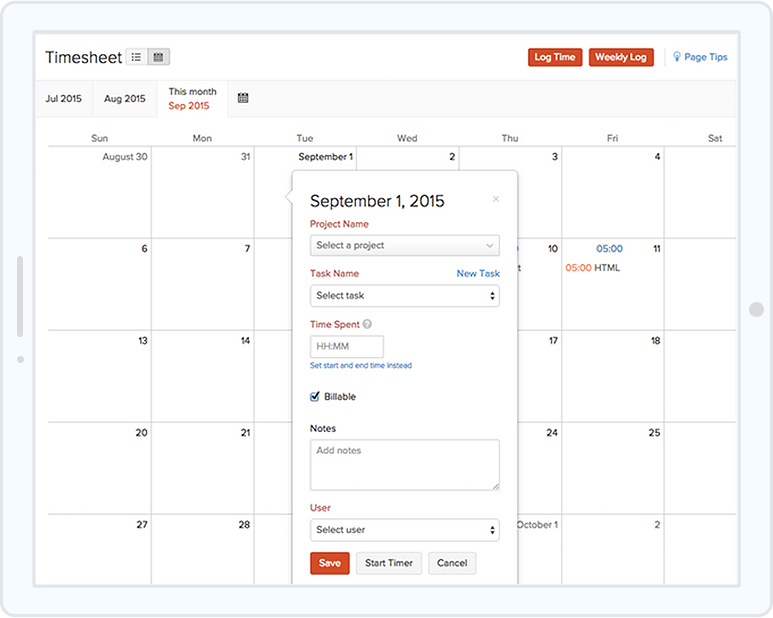 Every billable minute will be captured and entered in the calender format. 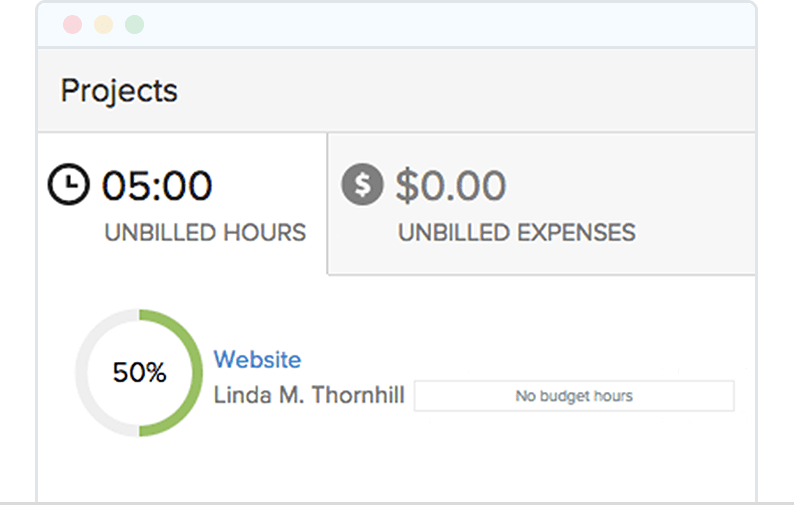 When you are ready to bill your clients, Zoho Invoice will automatically add the unbilled hours and billable expenses to an invoice in a single click. Know how many hours and expenses are yet to be billed through the Dashboard at a glance. Provide customized and restricted access to your staff, so that they can log their hours. 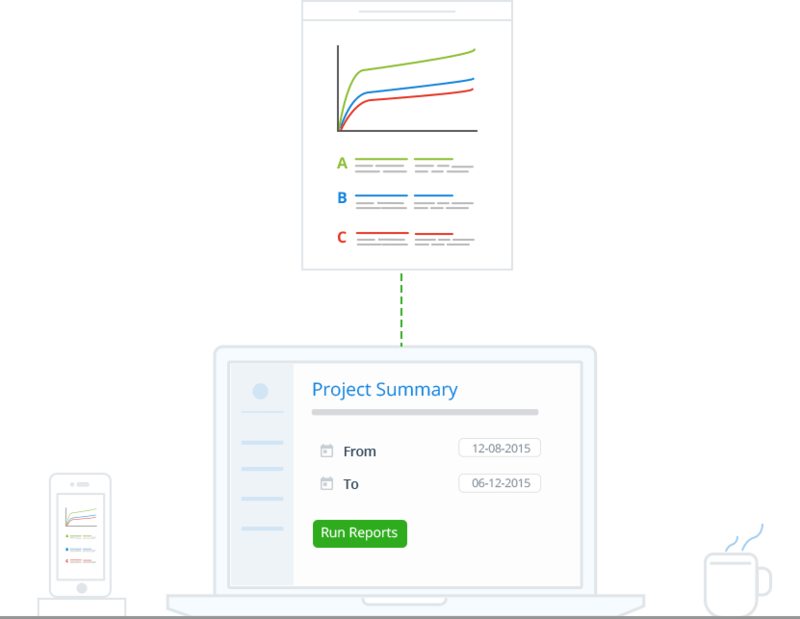 You can also add tasks to a project and assign them to your staff. 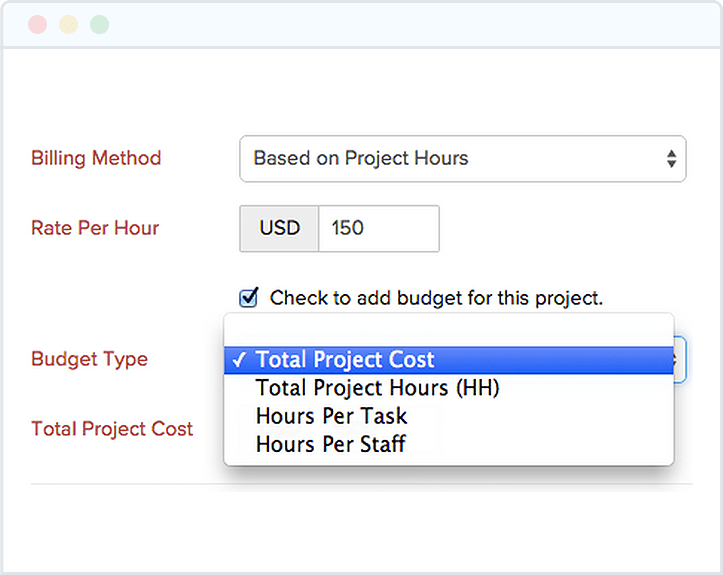 Set a budget based on the total project cost or the total hours spent. Check the progress bar in the Project Overview section to track how much of the budget is used and how much is remaining. Easily compare logged versus budgeted hours and un billed versus billed amount, to manage your projects better. 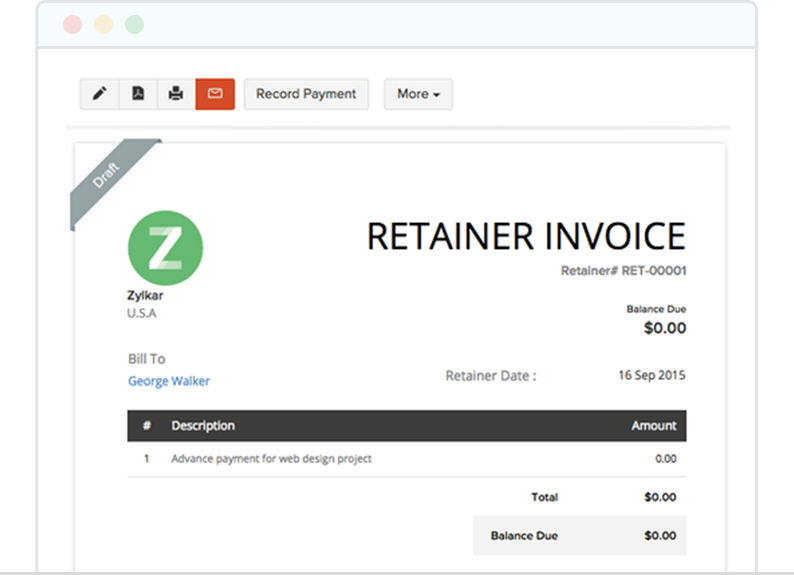 Zoho Invoice offers a multitude of features to make your invoicing easy. How can I track time while I am away from office? Zoho Invoice supports mobile apps for iOS, Andriod and Windows, letting track time for projects while you are on the go. How do I track time for other users? If you are an admin of the org, you can log time for others by simply selecting the project and clicking the 'Log Time' option. 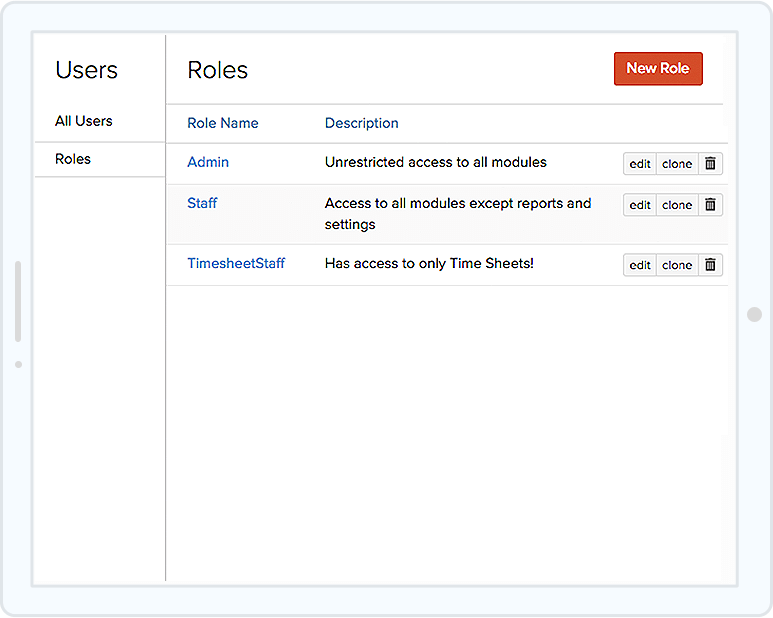 You can also to create a new role with the option to manage timesheet entries for other users. How can I share the project details with the client? 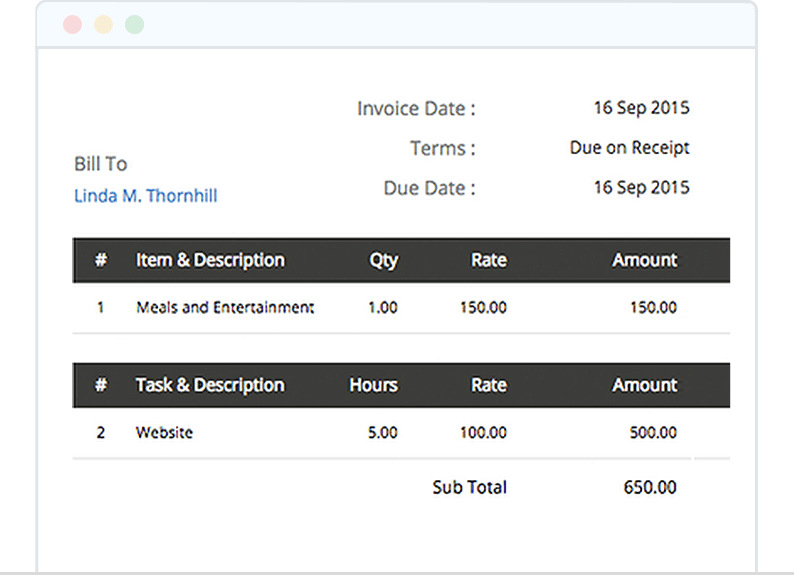 Zoho Invoice lets you share the timesheets with your clients through the client portal. You can enable this option in Portal Preferences under Branding in Settings. No contracts. No credit cards. No commitments. If you are stuck, reach out to us at support@zohoinvoice.com at any time. We would love to help. There's a weekly webinar to show you around Zoho Invoice and answer some of your questions. For a detailed how-to on all things Zoho Invoice, check out our resources.